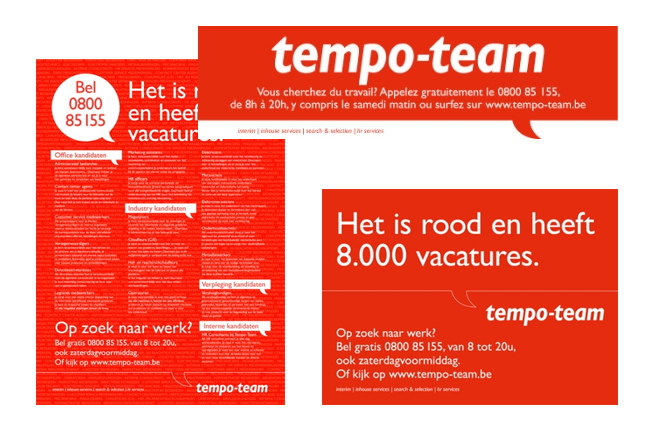 Tempo-Team is the new name of Vedior. 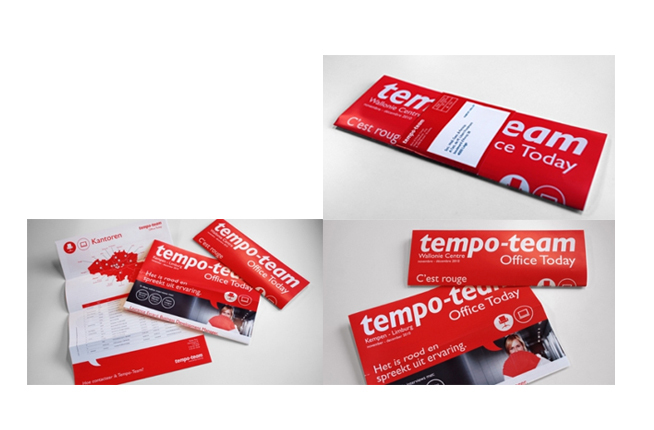 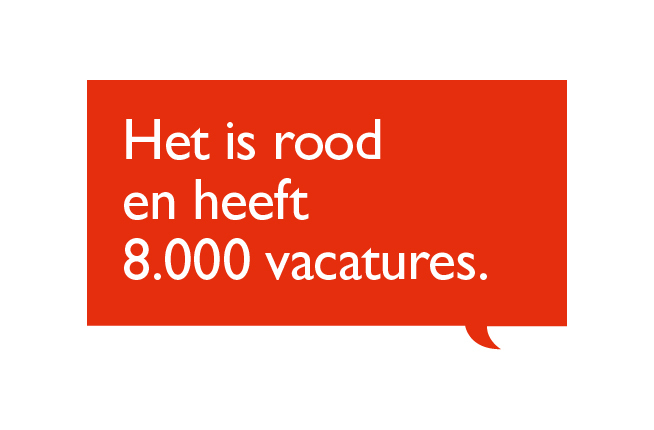 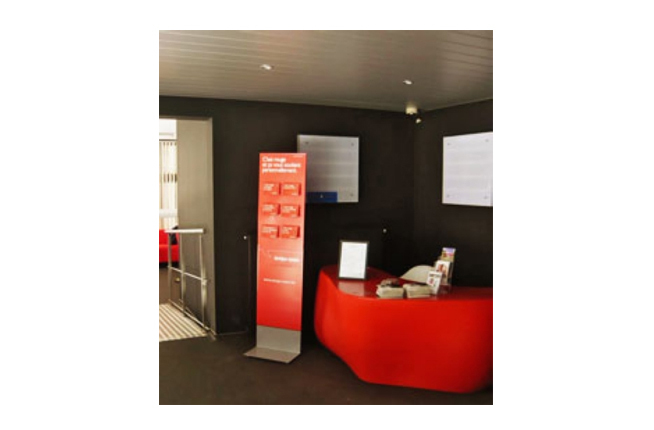 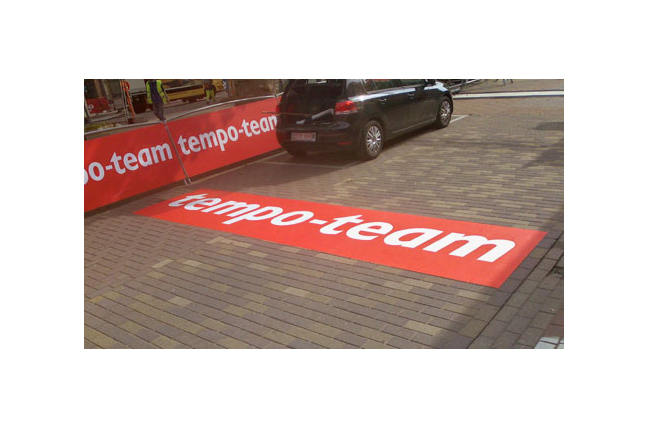 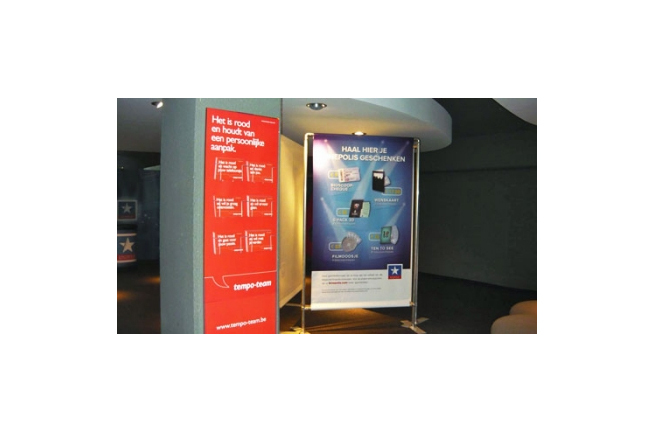 When Randstad took over Vedior, Brandhome was called in to rename it Tempo-Team. 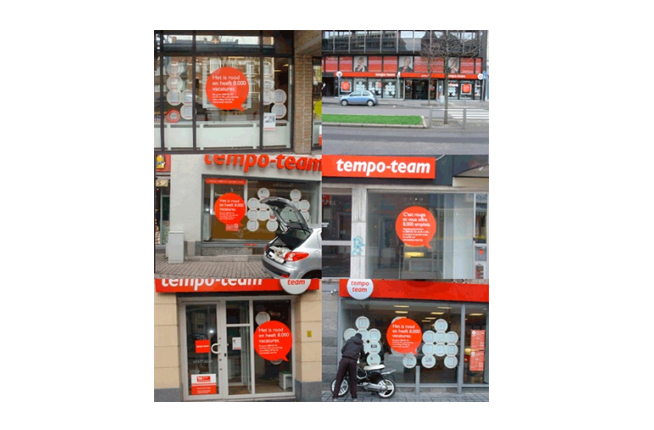 Tempo-Team was positioned as a no-frills brand. 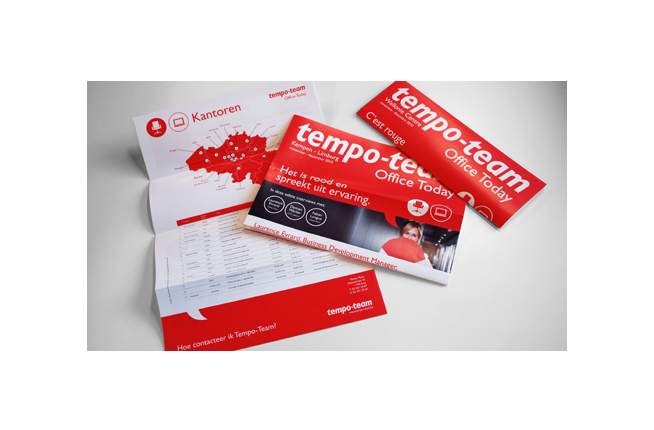 A straightforward brand, just focusing on getting people a job! 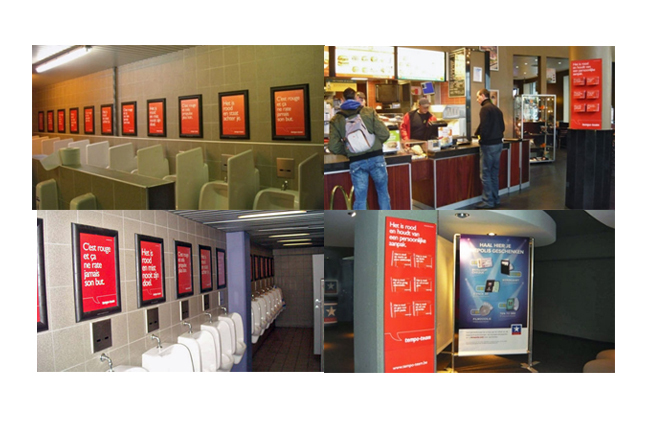 Communicating in a no-nonsense way to all its audiences, in a surprising way!